John Philip Green was fed up. The founder of Toronto’s CareGuide had raised a significant seed round last year from prominent investors in the U.S. and Canada. But it wasn’t easy. Green believed that having access to AngelList Syndicates, a useful feature of the popular entrepreneurial platform which allows investors to quickly co-invest with other notable investors, would have helped. Unfortunately, the feature is not available in Canada. So Green grabbed the @AngelListCanada Twitter handle and the www.angel-list.ca domain to set about raising awareness. Within hours of launching the account, he received a better response than anyone could expect. The link directs those interested to Ryan Holmes’ Syndicate, of which there are currently five backers. 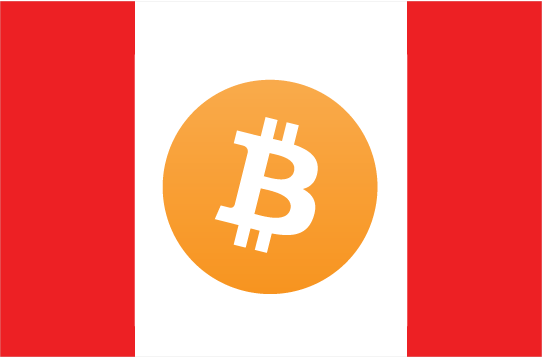 We’ve reached out to AngelList for an official comment, but sources familiar with the situation indicate that the company is working on launching in Canada soon. The high-profile founder of Hootsuite, Holmes has been very public of his desire to not only build great startups in Canada, but also what he calls the Maple Syrup Mafia, a riff on the historic PayPal mafia. It appears as though he believes an early-stage investment syndicate in Canada is one of the steps necessary to bring this about. It’s well known that Canadian investors are hesitant to jump in early, preferring instead follow-on investments. Why start an AngelList Syndicate? I started an AngelList syndicate because I think that it is an amazing way for backers to aid in fundraising efforts by helping to create awareness and velocity around a startups fundraise. I have built out a private email list to connect Canadian angel investors, but I think the transparency of AngelList provides additional acceleration to fundraising efforts. Canadian entrepreneurs seem to struggle with early stage seed funding – there’s just way more interest in follow-on capital. 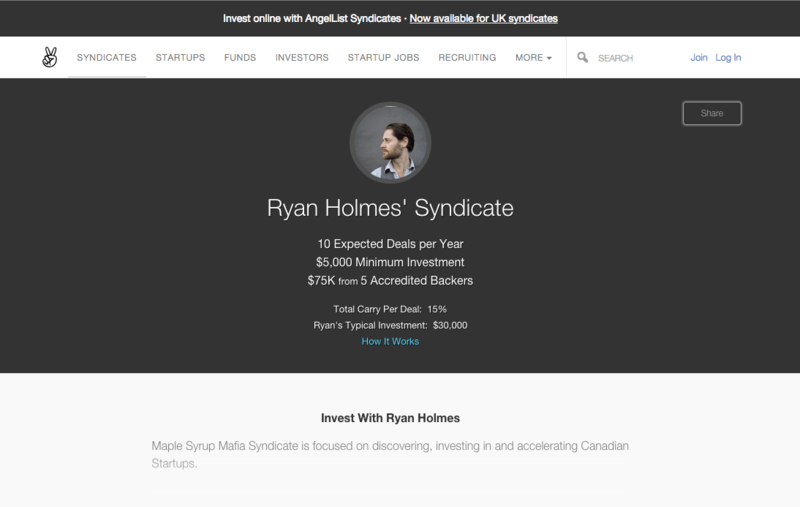 Do you think having a Canadian AngelList Syndicate can help change that? I do think that a Canadian AngelList Syndicate can help connect early stage companies with Capital more quickly which is a pretty exciting prospect. Historically there were way too many great Canadian ideas that died on the vine, and I am optimistic that the increase in Canadian angels will result in a corresponding increase in successful Canadian startups. How does this relate to your plans to create a Maple Syrup Mafia? As I talk with people about my vision for a vibrant Technology ecosystem I realize that there are so many others shared in this vision. There have been some great start ups surface in the last few years and I’m very excited to say that momentum is building. It feels like we are closer now than ever to a group of people who are both savvy to the technology, and have capital to back it up. Maple Syrup Mafia is looking more and more like it will become a reality.